Ned Bowers, co-founder of Skybolt Aerospace Fasteners, which is a GrowFL 2017 Florida Companies to Watch honoree, made his hobby his business. As he learned more about the aerospace parts business, he innovated the business model to develop a strong competitive advantage over the rest of the industry. "Skybolt was originally formed by my dad and I. We both came from an aviation background and we came up with the idea to create an aircraft parts distribution company, which quickly came to be focused on aerospace fasteners," he said. "We quickly whittled that into something more in demand which was quarter-turn fasteners. Because we had such a difficult time sourcing parts that were common to everything that was built to fly, that led us blindly into making it ourselves. We had to learn how to go from distributor to manufacturer. We started learning at the lowest levels how to manufacture parts and 30 years later we're still learning and continually improving." Skybolt perfected its manufacturing process so much that its lead time is only six days compared to 16 for the rest of the industry. "What makes us truly different is that we are innovators," Bowers explained. "We have always searched for better ways to do things. We took the design of 50 and 60-year-old aircraft parts and improved them substantially so they are more user friendly. Our automated manufacturing process has resulted in very fast lead times and allows us to set up and run quantities to fit our customer’s needs instead of running 100,000 units to deliver 50,000." Bowers appreciates the added credibility that comes with being named as a Florida Company To Watch. 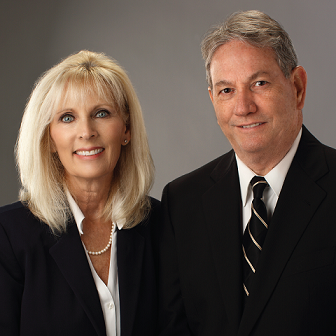 "We are so honored to have been selected as a Top 50 Florida Companies To Watch honoree. We've worked hard, we are growing, and it's incredible," said his partner, Debra Bowers. "The credibility this gives us, especially in the aerospace industry that is very regulated, is invaluable. One of toughest things we face as a small business trying to get to next level with large companies, like a Boeing company, is establishing our credibility. This is another feather in our cap. We are so honored to be a part of GrowFL. This will really help us when approaching large companies, and the value of just that is paramount." Bowers' advice for aspiring entrepreneurs is to prepare to have adequate capital and gain as much knowledge and experience as you can before launch. "Do your homework, come up with a number of what it's going to cost to form that business and how are you going to accumulate the capital to cover that cost and as soon as you figure out the number - then double it," he said. "We learned our industry on our own dime making rookie mistakes that were costly. Before venturing off to run your own business, educate yourself as much as possible on what's involved in running a business. There's not enough information you can absorb before you start operating and spending money."